This new version of GPU Shark brings the support of recent NVIDIA GeForce (GTX 980 Ti, GTX 900M series) and AMD Radeon graphics cards (R9 Fury X, R9/R7 300 family). 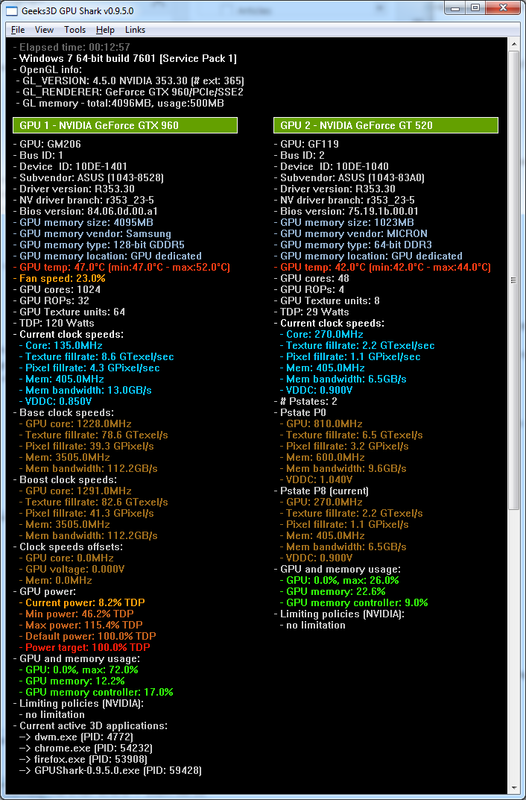 When possible, memory bandwidth, texture and pixel fillrates information have been added. + added memory bandwidth, texture and pixel fillrate.